Whether it feels like winter arrived full force, you’re yet to see it, or you’re lucky enough to enjoy mild winters, it’s always a good idea to keep your personal health and safety in mind, as well as that of your family. 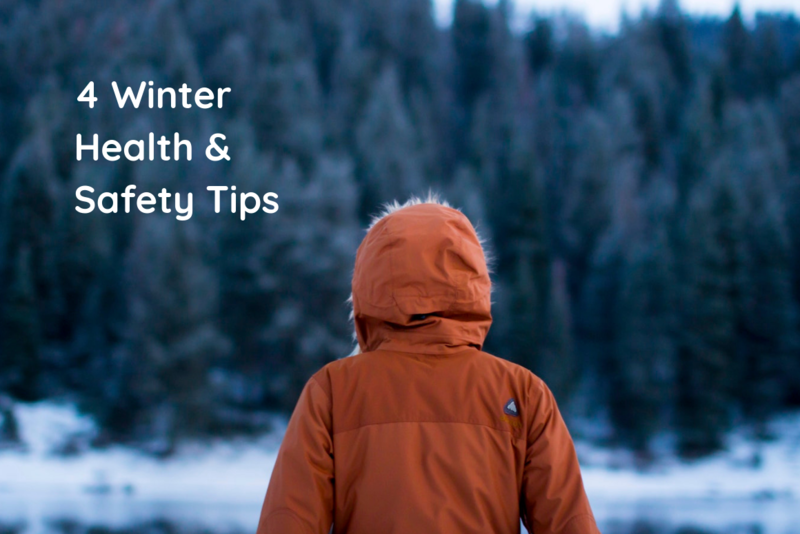 Here are 4 Tips for Winter Health & Safety for you to consider as we close out the year. Layers are key for proper warmth when it’s cold outside – they keep your body heat where it’s meant to be (against your body), and stop those nasty chills from getting in. If you can master the art of layering, you’ll be warm without looking like a snowman. Start with a thin, long-sleeved layer as this will wick away moisture (even in the winter, your body will sweat!). Add a second thin layer with a wool or polyester base. 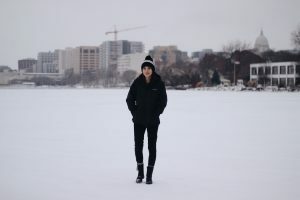 Use a puffy, or thick jacket, preferably with a hood to keep your head warm and prevent cold air from creeping down the back of your neck (isn’t that the worst?!). Finally, use a waterproof outer shell that fits over everything to keep you dry – this is particularly helpful whether there’s precipitation in the air or not. Being wet is the quickest way to getting cold! 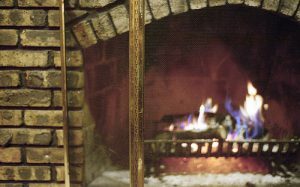 You’ll also want to make sure that your extremities are well-insulated as these are the fastest ways to lose body heat – thick, wool-based socks and proper winter boots keep your toes toasty; a wool-knit hat stops your head getting cold; and invest in a good pair of gloves that allow your hands to move as you need them to. Push the snow around instead of trying to lift it – heavy snow or awkward lifting/twisting motions can cause back, shoulder, and arm injuries, so move snow in manageable shovelfuls. You might even want to consider a snow blower for areas that experience heavy snowfall during the winter! Take breaks and stay hydrated – shoveling snow is one of the most intense winter activities you can do, so it’s important to do so carefully and to drink water regularly. The cold weather increases the likelihood of heart attacks in general, and shoveling snow puts added strain on it, so those breaks are key! Don’t leave your cooking unattended – the holidays means lots of gatherings for family and friends, and it can be easy to get distracted while in and around the kitchen. Keep flammable items away from the stove top, set timers for food in the oven, and make sure you have a fire extinguisher close to hand. Use electrical items responsibly – keep portable heating items away from anything flammable (at least 3 feet is recommended), make sure that cords and plugs are in good condition before using them, and never overload a power bar. Make sure your smoke detectors are in perfect working order – replace batteries once once per year, test regularly (we like to do it at least every time the clocks change, and replace the entire unit (whether hardwired to your home or battery-operated) every ten years. Add one more layer to babies and children than you would an adult in the same situation, and protect their skin from exposure to the elements. Limit time outside as kids are much less tolerant to the cold weather than adults, and keep winter accessories by the front door so you don’t forget them. If your little ones are snowboarders or skiers, make sure they have a helmet and that it fits them properly too! PS. Read our Guide to Helmetsfor more details. What are some of your personal health and safety tips for this season? We hope you enjoy the winter weather wherever you live!